Retired Navy SEAL Captain John Doolittle as KAATSU Global's Chief Business Development Officer. Originally from Walnut Creek, California, he graduated from the U.S. Air Force Academy in 1992 and has a Master’s Degree in Defense Analysis from the Naval Postgraduate School. After graduation from the Air Force Academy, he received a cross commission and served as a hard-hat Dive Salvage Officer and Surface Warfare Officer with the U.S. Navy from three years in Hawaii. In 1996, he transferred to the Naval Special Warfare community and became a Navy SEAL. From 1997 to 2002, Doolittle was assigned to Navy SEAL Team Two and served throughout Europe and Africa including a deployment in Kosovo during the 9/11 tragedy. In 2002, he reported to Naval Special Warfare Unit Two in Germany and conducted special operations in the Baltics, Levant, Bosnia and East Africa. In 2005, he was assigned to Naval Special Warfare Unit One in Guam as an Executive Officer. In 2006, he was sent to Fallujah, Iraq in support of Special Operations Task Force West. In 2007, he served in the U.S. Special Operations Command headquarters and was the Deputy Commander for Combined Joint Special Operations Task Force for the Arabian Peninsula in Iraq. In 2009, he commanded the Provincial Reconstruction Team in Afghanistan. In 2013, he became a director for the Preservation of the Force and Family Task Force in Florida. He has received a Bronze Star twice, the Defense Meritorious Service Medal, and the Meritorious Service Medal twice. 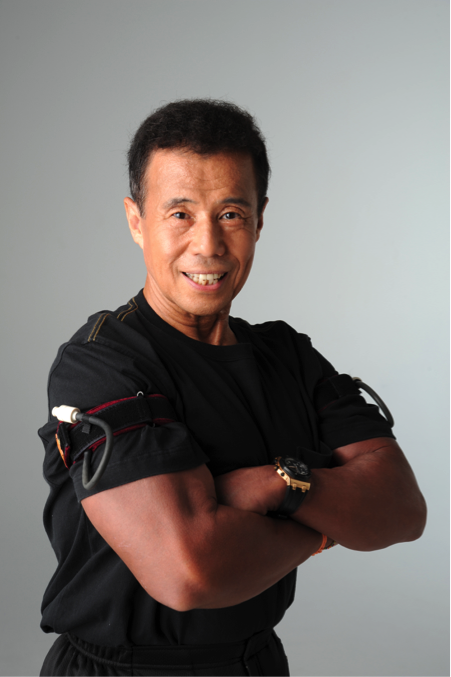 He was first introduced to KAATSU while he was rehabilitating with injured knees and a torn bicep muscle. Photos above show Doolittle with his graduating SEAL's class in 1996 [bottom row, far right], upon his retirement, and introducing KAATSU to men and women from various walks of life. "One of the best physiological monitoring devices that we use with KAATSU Master and KAATSU Nano is the Bluetooth-enabled Masimo MightySat™ Fingertip Pulse Oximeter," said KAATSU Global CEO Steven Munatones. 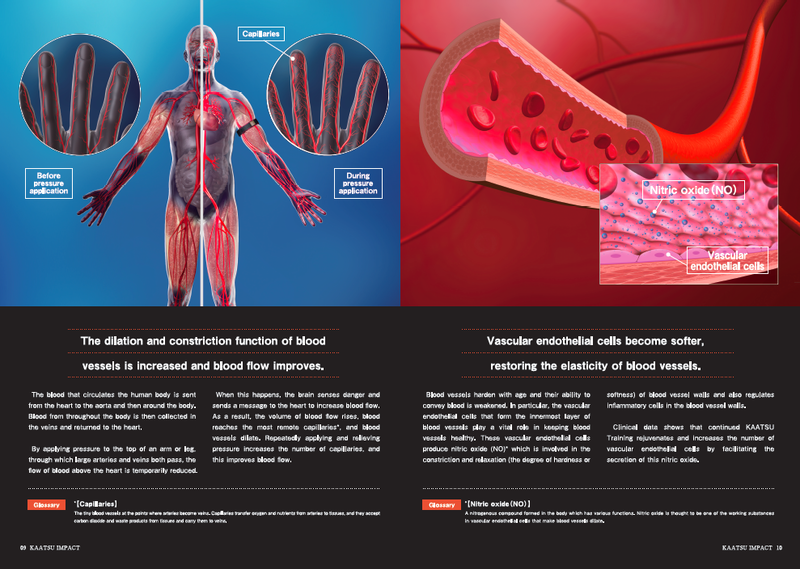 "We can simultaneously track and archive the oxygen level in KAATSU user's blood, their pulse, the number of breaths per minute, a measure to understand how well hydrated they are, and another data point that indicates changes in blood circulation. 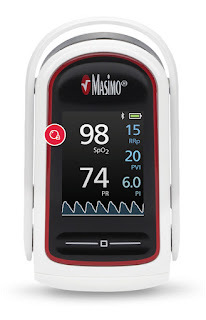 We use the Masimo on ourselves and with our athletes." 1. SpO2 or Oxygen Saturation is the oxygen level in your blood that indicates changes due to your heart or lung function, oxygen use by your body, or altitude. It is a percentage of hemoglobin in the blood that is saturated with oxygen. 2. PR or Pulse Rate is the number of your heart pulses per minute that indicates your overall fitness or exertion levels. 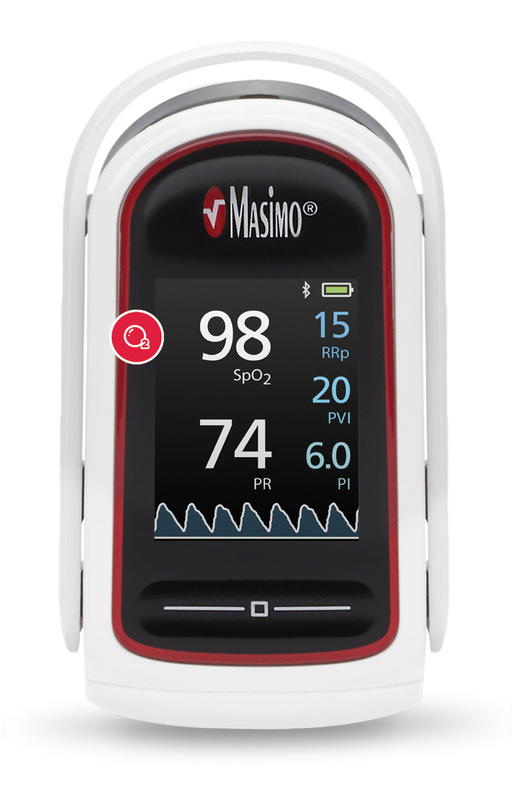 For more information about the Masimo MightySat™ Fingertip Pulse Oximeter, visit Masimo Personal Health here. Boston-based swimming coach Chris Morgan explains KAATSU Aqua in an interview with Brent Rutemiller of Swimming World Magazine at the 2017 American Swimming Coaches Association World Clinic in Washington D.C.
At the 2017 World Junior Swimming Championships in Indianapolis, Indiana, 17-year-old Michael Andrew had an evening to remember. At 6:24 pm, he set a world record in the 50-meter backstroke, winning the event in a time of 24.63 seconds. At 6:40 pm, he entered the water again in the 50-meter butterfly in a semifinal heat and qualified first in 23.27 seconds, setting another world record. At 7:11 pm, he walked up to the starting blocks in the 50-meter freestyle for his third race in 45 minutes and won the event, setting his third world record in 21.75 seconds. He followed the KAATSU Cycle protocol between races that allowed him to recover quickly and prepare himself physiologically for his next event. For more information on his remarkable evening, visit SwimSwam and Swimming World Magazine. The video above shows the subjects of an interesting series of research projects by the China-Japan Union Hospital of Jilin University in Changchun, China. The initial results were published in the Chinese language in the Chinese Journal of Laboratory Diagnosis (25 Aug 2016 issue, Vol. 20, No. 8, P. 1240) entitled Effects of KAATSU Training on proliferation and differentiation of goat bone marrow mesenchymal stem cells by by Yu-hui Yang, Shao-qian Sun, Yoshiaki Sato, et al. To explore the effects of KAATSU Training on proliferation and differentiation of goat bone marrow mesenchymal stem cells. 60 Boer goats were randomly divided into experimental group and control group, the experimental group was given KAATSU Training twice a week, non-KAATSU Training twice a week for the control group. 6 months later, we got the goat bone marrow and then separated and absorbed the white cloud layer which mainly contained the mononuclear cell in the upper-middle interface with the method of percoll-density gradient centrifugation, cultured and observed the cell morphology and the proliferation rate; the cells of the two groups were induced into cardiomyocyte like cells by the 5-azacytidine. The cells which had been differentiated were detected with the expression of the cardiac specific antigen α-actin by immunofluorescence assay. The cells isolated from the bone marrow in the white cloud layer were adherent, generated and grew well. In addition, the cells which induced by 5-azacytidine could express the cardiac specific antigen. The bone marrow mesenchymal stem cells of the experimental group were small and round, and their proliferation rate was faster than the control group, though the shape of the cells in the control group were polygonal or triangular, and the proliferation rate were slow. It has been succeeded both in separation and cultivation of the bone marrow mesenchymal stem cells, and also induced the proliferation of turning into cardiomyocyte like cells in vitro. The bone marrow mesenchymal stem cells in pressurization motion for a long period of time were easier to proliferate than the cells in non-pressurization motion, but the differentiated capability were low. Bone marrow mesenchymal stem cells (BMSCs) are from the mesoderm and are pluripotent stem cells with high capability in proliferation, self-renewal and multi-directional differentiation potential. Further studies have demonstrated that BMSCs can differentiate into cardiomyocytes, neurons or neuroglial cells. Upon in vivo transplantation, these cells can migrate to injured sites (mostly to ischemic or anaerobic sites) and repair respective tissues. Cell transplantation has provided brand-new treatment strategy to irreversible heart diseases. BMSCs are currently considered as one of the most ideal seed cells for cell transplantation, and are often used as carrier cells in gene therapy. Allogeneic BMSC transplantation may trigger immunologic rejection, while autologous stem cells are of limited quantities. It is therefore crucial to look into how autologous stem cells could proliferate and be release to the bloodstream, especially in large mammals. In recent years, the number of studies focused on small animals such as mice/rat or rabbit is relatively high, but few studies and report investigate into BMSCs in bigger animals like goats. Thus, it is important to study the in vitro directed differentiation of BMSCs from goat as a big animal. 1. For throwing: warm-up with KAATSU Cycle and throw as normal with KAATSU Optimal SKU Pressure and the Arm Bands untethered. 2. For pitching: warm-up with KAATSU Cycle and pitch as normal with KAATSU Optimal SKU Pressure and the Arm or Leg Bands untethered. 3. For running: warm-up with KAATSU Cycle and do base running as normal with KAATSU Optimal SKU Pressure with the Leg Bands untethered. 4. For batting: warm-up with KAATSU Cycle and take practice swings (i.e., not at home base with a pitcher) with KAATSU Optimal SKU Pressure with the Arm or Leg Bands untethered. * Avoid fielding or batting to the KAATSU Arm or Leg Bands on. We want to avoid any possible unintended injuries. 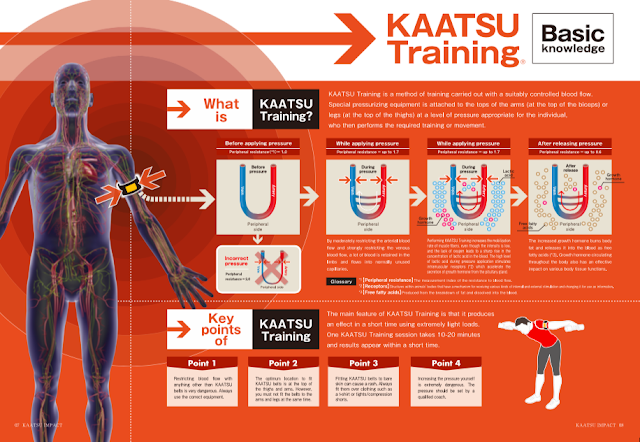 Use KAATSU Cycle (Cycle 20 or Cycle 60) to augment traditional rehabilitation therapy and to avoid muscle atrophy. 1. Post-game pitcher: ice + 3-5 KAATSU Cycles on arms as an ideal post-game recovery mode to reduce inflammation. 2. 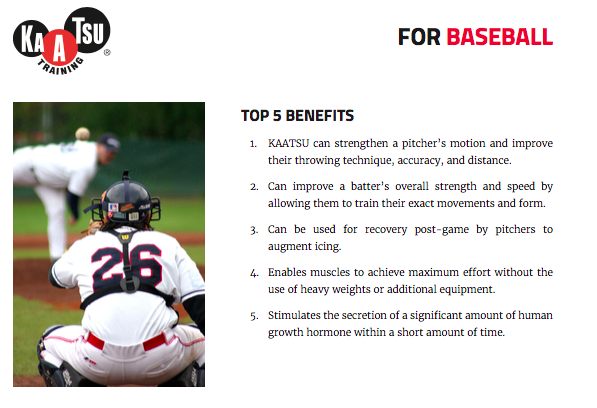 Post-workout field players: 3-5 KAATSU Cycles after weight-running or a particularly long and vigorous workout. 3. Travel: 3-5 KAATSU Cycles on arms and/or legs after long trips or overnight travel as desired. Chris Morgan, a 2008 Olympic swimming coach, teaches and teaches everyone about KAATSU training on dryland and KAATSU Aqua in the water from Olympic swimming medalists and Olympic Trials finalists to masters swimmers (24- 75 years), competitive age group swimmers and collegiate swimmers for those aiming for the 2020 Tokyo Olympics to those recovering from injuries. 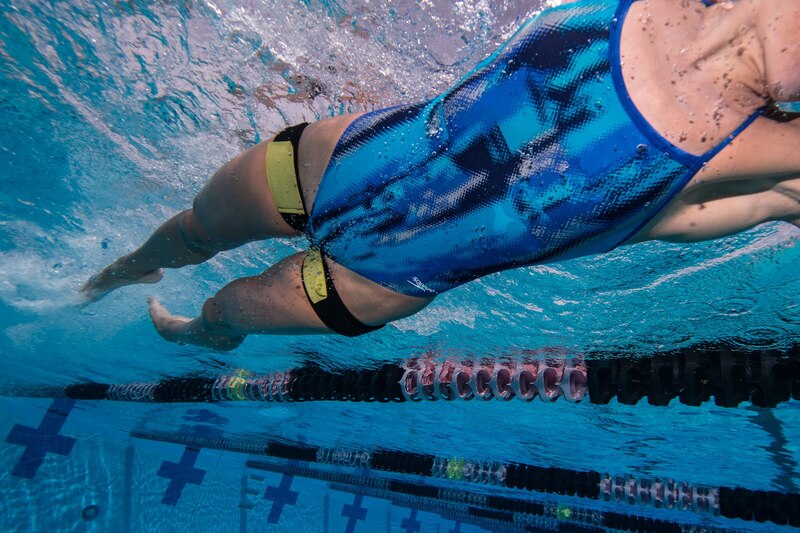 The KAATSU Aqua Burpees (arms) can include any number of swims and exercises to maximize intensity in the water. 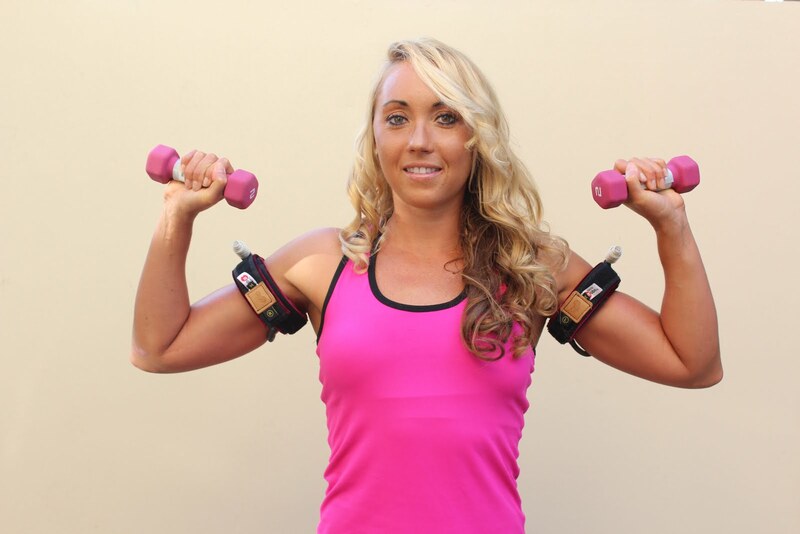 This KAATSU Aqua Arm Burpees set with the pneumatic KAATSU Aqua Bands includes 100 yards of swimming (with hand paddles to increase intensity) + a maximum number of pull-ups and push-ups performed to muscular failure. 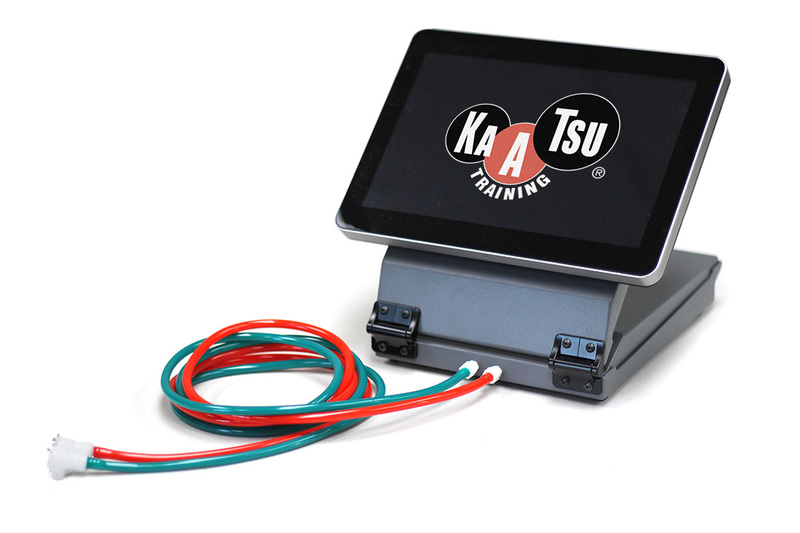 3-4 sets of these KAATSU Aqua Arm Burpees with 1-2 minute rest between each set is plenty for a thoroughly exhausting workout for all levels of lifeguards, swimmers, water polo players, triathletes, military special operators, CrossFit athletes, surfers, surf lifesavers and other types of watermen and water women. The total arm workout time would be between 10-15 minutes total. 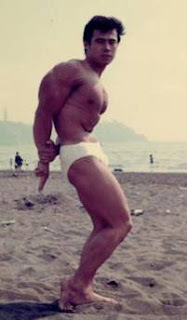 KAATSU Aqua Leg Burpees can include a combination of eggbeatering (treading water) with your hands and elbows out of the water + non-lock (partial extension) squats on deck performed to muscular failure + vertical kicking with a medicine ball and kicking with a kickboard to muscular failure. Kicking can be done with or without fins. The total leg workout time would be between 10-15 minutes total. Robert Heiduk of KAATSU Germany worked with a young woman who had a ski accident 10 weeks ago. She could not raise her right arm above her shoulder before seeing Heiduk. 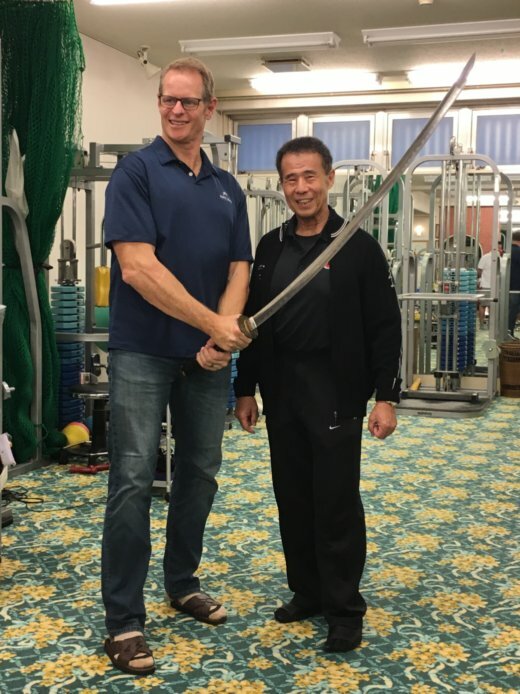 Heiduk used the standard KAATSU protocols that he learned from Dr. Yoshiaki Sato in Tokyo (i.e., KAATSU Cycle + movement under Optimal SKU pressure). Her range of motion before and after KAATSU is shown above as a result of a single KAATSU session. Among his many athletic and coaching achievements, Jonty Skinner will be inducted as a coach in the American Swimming Coaches Association Hall of Fame Class of 2017. The current Associate Head Coach at the University of Alabama first made his name in the international sports arena as one of the fastest sprinters in the world. He was one of the gold medal favorites in the 100m freestyle at the 1976 Montreal Olympic Games. However, his home country of South Africa was still banned due to its apartheid, and he was ineligible to compete. At the 1976 Olympics, his American rival Jim Montgomery won the 100m gold medal en route to becoming the first swimmer in history to break the 50-second barrier in the 100m freestyle with a 49.99. Twenty days later at the American national swimming championships in Philadelphia, Skinner swam a 49.44 to set the world record that would last for the next five years. Upon his retirement as the world's fastest sprinter, Skinner has established an even greater legacy, in coaching. He has become a scientifically-minded, analytically-oriented coach which included an 8-year reign as USA Swimming’s Director of National Team Technical Support covering the 2000 Sydney, 2004 Athens, and 2008 Beijing Olympic Games. In this position, Skinner was charged with organizing all of the testing, monitoring, and analysis of national team swimmers. He also coached three separate times in Tuscaloosa at the University of Alabama (1978-1981; 1988-1994, 2012-present) in one of the swimming world's most prestigious swimming programs. 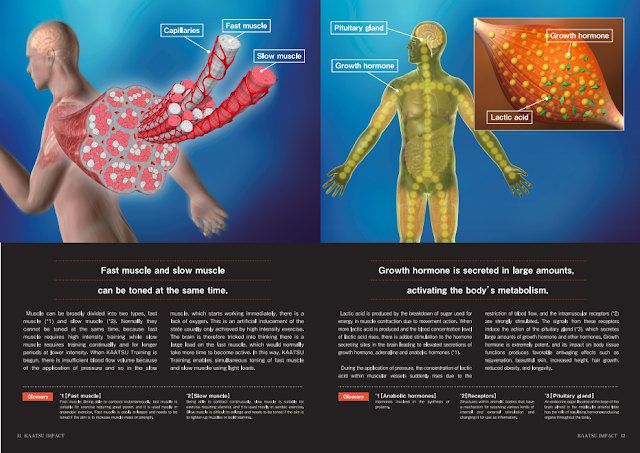 As Skinner is described by Floswimming, "He continues to apply his analytical mind towards using cutting-edge scientific methods on his swimmers. In a sport where races are won and lost by hundredths of seconds, Skinner is always searching for new and creative ways to get his swimmers to move faster through the water." Watch his use of KAATSU here, produced by Floswimming.